The “MAKE” magazine was published an interesting article (IMHO). Read below. My favorite ham activity is making contacts via satellites. Not only is there the romantic notion of sending messages into outer space, but you have to trace the orbit of the satellite with your antenna while tuning the radio, to compensate for the Doppler effect. The satellites AO-51, SO-50, and AO-27 orbit the Earth acting as repeaters. Repeaters are automated relay stations that allow hams to send signals over a greater distance using low-power hand held transceivers. The satellites allow hams to relay messages from Earth to space and back to other hams somewhere on the planet. The International Space Station (ISS) also has a repeater, but occasionally, if you’re lucky, the astronauts turn on their radios to make contact directly with hams on the ground. The following instructions will get you started listening to birds (satellites) on FM, which can be done with a simple VHF/UHF FM radio with a whip antenna, without the need of a ham license. 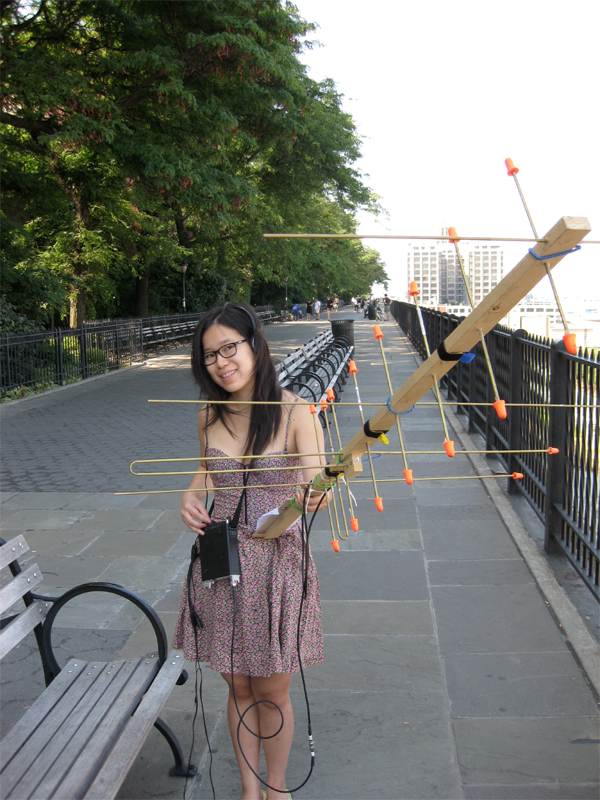 For better coverage, you can use a Yagi antenna (like the one pictured above) connected to a mutli-mode radio and a license (if you want to transmit). A Yagi antenna can also be used to improve the signal of your hand held radio. This entry was posted in ham and tagged AMSAT, ham, hamradio, home made, Satellite. Bookmark the permalink. Спасибо за материал! Ну никогда бы не подумал, что есть настолько увлеченные спутниками YL.